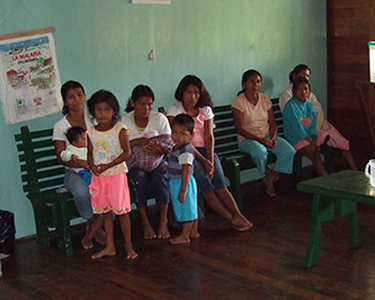 AMP supports the Yanamono Medical Clinic in the remote Amazon basin of northeastern Peru by providing primary medical care, involving locally trained people and encouraging preventative medicine. The clinic was founded in 1990 by Dr. Linnea J. Smith, M.D. In 1990, Linnea J. Smith, M.D., gave up her Wisconsin medical practice to provide medical services to the indigenous people of the Peruvian Amazon. Initially she operated out of a small thatched-roof room without electricity, running water, staff, funding, or lab services. After hearing a radio interview featuring Dr. Smith, volunteers from Duluth, Minnesota, Thunder Bay, Ontario, and Iquitos, Peru Rotary Clubs in 1993 built a river-side clinic complete with well, solar panels, a hammock house for patients’ families, and adjacent quarters for clinic staff. 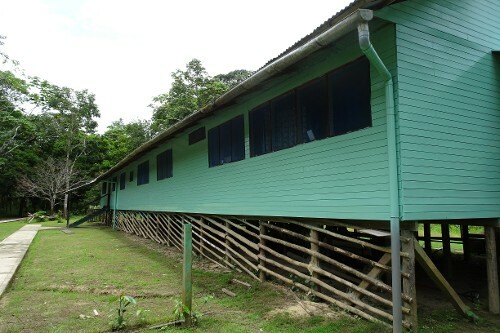 The land on which this clinic was constructed was gradually eroded by the Amazon River, and the clinic was rebuilt on a nearby stream in early 2009. 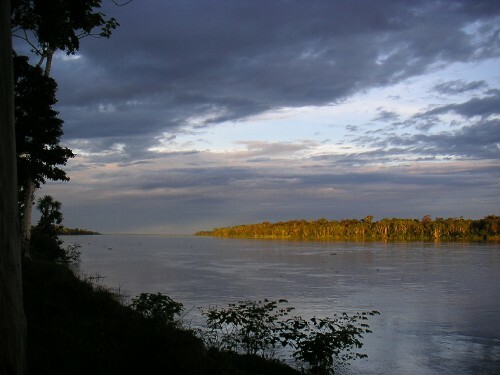 Explorama Lodge, a nearby eco-tourism center, provides Dr. Smith with meals and river transportation. In 1996, the Amazon Medical Project was established as a 501(c)(3) not-for-profit corporation. Board members include: Rick Koeck, JD (President), Ron Thorstad (Vice President), Lee Swanson (Treasurer), Tom Sullivan, MD (Secretary), David Aslakson, Jerry Goth, Kim Stokes (Administrator of the Amazon Medical Project), and Linnea Smith, MD (Medical Director of the Yanamono Clinic). Until Dr. Smith's arrival, the local people had little access to health care. Today the clinic treats 2500-3000 patients a year, most arriving by dugout canoe or on foot. Services include family planning, prenatal care and birthing, dental care, treatment of snakebite, cholera, parasites, and malaria, care of trauma, and treatment of a multitude of infectious diseases. Dr. Smith serves as the clinic’s medical director. She is a 1984 graduate of the University of Wisconsin-Madison Medical School and is Board-certified in Internal Medicine. She practiced in Prairie du Sac, Wisconsin, from 1987 – 1990, when she moved to Peru. In 1997 Dr. Smith was named a Fellow of the American College of Physicians (ACP) in recognition of her exceptional dedication and service; in 1990 she received the Rosenthal Award from the ACP for the delivery of innovative medical services; in 2005 she was named Citizen Physician of the Year by the Wisconsin State Medical Society; and in 2008 was named a Distinguished Alumna by the University of Wisconsin Alumni Association. Clinic staff consists of a local resident, Edemita, whom she trained and who serves as clinic manager, and Juvencio, who is a nurse, medical assistant, malaria slide reader, and clinic engineer. There are also two additional Peruvian nurses, a full-time Peruvian doctor, and three local men who tend to maintenance and caretaking. Interim staffing has also included Peruvian students, and visiting physicians and dentists from the U.S. and other countries.